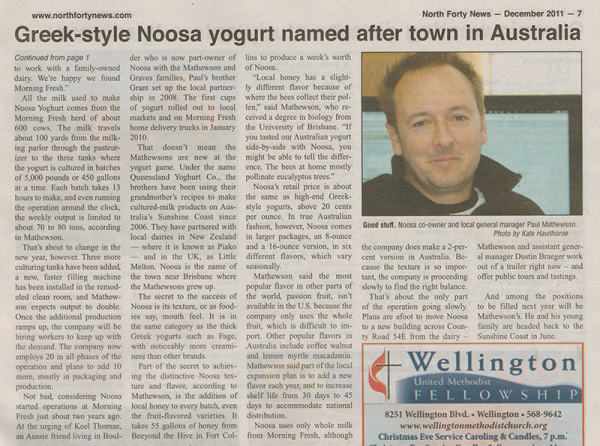 Noosa Yoghurt has had amazing success in the United States of America (USA) with Queensland Yoghurt’s recipe. 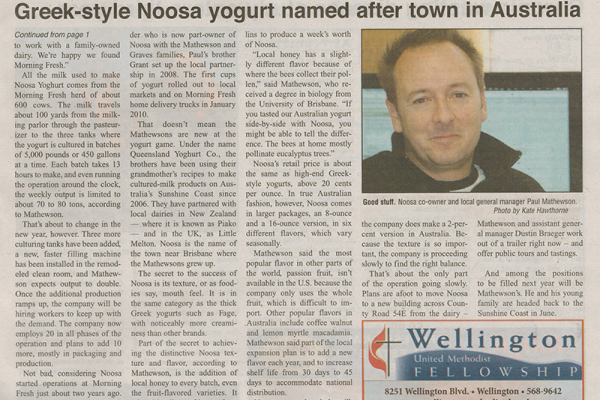 As our sister company, we are proud to be associated with Noosa Yoghurt and the accomplishment she has achieved. Noosa Yoghurt entered it’s yoghurt (Queensland Yoghurt) into the Wisconsin Dairy Awards and won ‘The Best Yoghurt in the World’. That is high praise for a product with a simple beginning.